Exercise can be a powerful promoter of brain health, and improve many markers of cognition including attention and mood. Equally, the power of the mind (attention, motivation, fatigue) can be key determinants of exercise performance. The effects of exercise have been studied from both a behavioral and cellular/molecular perspective in both animals and humans. Exercise increases gene transcription for many important pathways for brain plasticity, immunity, anti-aging and metabolism. Exercise leads to enhanced gene transcription for important molecules involved in general health. 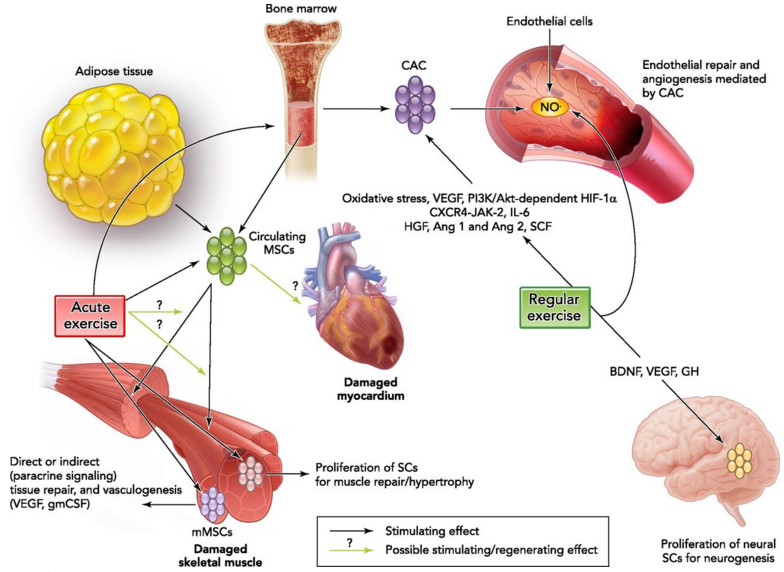 A graphical depiction of key tissues that are modulated by exercise.